A quick newsflash about a new regular event that I’ve added to my busy schedule: I’ve joined the collective of authors who blog together as Authors Electric. Yes, I know, the last thing I need is something else on my to-do list. After all, I’ve somehow managed not to write a single post for my own blog so far this month, and the month is running out fast. I’ve been watching the Authors Electric blog for a while, and found it an interesting concept with lots of good posts worth reading. 30 authors belong, each committing to posting on a specific date each month, and the 31st is kept for occasional guests. I have known, liked and respected a few of the authors for a while. 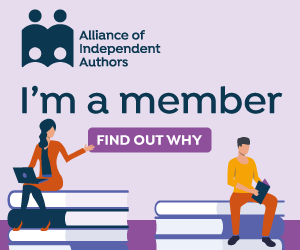 I’d always thought that if a vacancy arose, I’d be glad of the opportunity to join their throng, I am very grateful to Electric Author Ali Bacon for nominating me and to the group for accepting me as a member. I find writing monthly columns for the Tetbury Advertiser and the Hawkesbury Parish News a useful discipline, as well as a subtle way to publicise my books. As both of those are very local outlets, and have mid-month deadlines, I thought the much wider audience of Authors Electric and the end-of-month deadline would be a good fit. As I do with the TA and HPN columns, I’ll flag each new post up here too. The only difference is that those first two go out in printed magazines rather than blogs, so I reproduce the columns in full here as that doesn’t detract from their audience. As Authors Electric is online, I’ll just flag up the flavour of it here with a link to the post so you can hop over and read it there if you’d like to. So here we go with a link to the first post, which is about the joys of series of books, rather than one-off novels. Always Leave Them Wanting More celebrates series of books from a writer’s perspective, and recommends other series that I enjoy as a reader. (Honorable mentions there for Lucienne Boyce, Celia Boyd, Anita Davison, David Ebsworth, JJ Marsh, Rosalind Minett, Alison Morton, David Penny, and David Ebsworth – as well as Dorothy L Sayers, M C Beaton and Sir Arthur Conan Doyle, of course!) Comments, including sharing your own favourite series, are welcome!